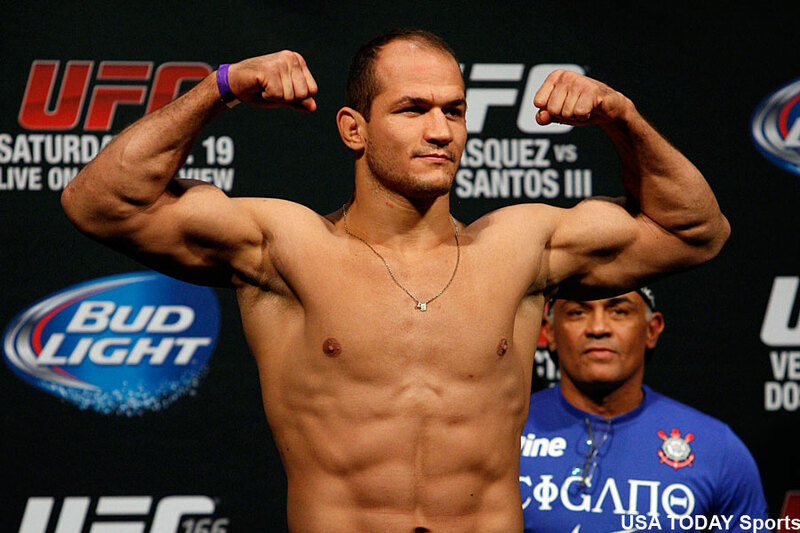 Former UFC heavyweight champion Junior dos Santos has been flagged for a potential anti-doping violation. The U.S. Anti-Doping Agency (USADA), the independent company the UFC hired to conduct year-round drug testing on their entire roster, made the announcement Friday. As a results, dos Santos has been yanked from his pivotal scrap against Francis Ngannou at UFC 215. The UFC is currently scouring its roster to find a replacement on just 22 days’ notice. According to the USADA, the violation came from an out-of-competition sample collected on August 10, 2017. It is unknown what substance(s) was discovered in his system. The 30-year-old is facing as much as a two-year suspension if found guilty since this is his first offence. Dos Santos’ team is trying to gather additional information before addressing the situation, but are strongly denying their client has knowingly taken any performance-enhancing drugs. “We are still trying to understand the test results, so that we can investigate and determine what happened,” dos Santos’ representatives expressed in a statement to ESPN.com. “What we know as of now is that Junior Dos Santos has never taken PED’s, has never knowingly used any banned substances, and has always supported USADA’s policies and efforts to keep the sport clean. Dos Santos, one of MMA’s nicest fighters, has taken a beating in most of his past seven bouts, four of which resulted in losses. The former heavyweight champ was anxious to jump right back into action after May’s quick TKO defeat to Miocic.